From what I gather, all credible sources cite Paul’s Epistles as the oldest NT writings. Of the Gospels however, Synoptic Gospels plus the 4th Gospel, they begin with the book of Mark, the earliest of all the Gospels. General consensus among scholars is that it was written circa 60-70 A.D. (C.E.). Both Bart D. Ehrman's seminary text book entitled The New Testament and Biblical scholar Raymond E. Brown’s International version of An Introduction to the New Testament are great resources for answering questions on dating the Synoptic Gospels, Paul's Epistles, and more. I’ll also be intermingling and weaving in some Wikipedia sources which are very heavily referenced in detail, and should help you get started investigating the crux of the matter in full. Browsing through the Synoptic Gospels, the first three gospels of the New Testament, we discover that the canonical order of these Gospels follows the tradition that the book of Matthew came first. This was originally proposed by the fifth century bishop Augustine of Hippo. He did so to try and explain the consistent relationships between the Synoptic Gospels by proposing that Matthew was written prior to Mark which in turn used Matthew as a source. Finally Luke was presumed to have been written using Matthew and Mark as its sources. John, often called the Fourth Gospel, seems to stand apart from the others for various textual reasons which we'll discuss later on. The precise nature of the relationships between the gospels of Mark, Matthew, and Luke is known as the Synoptic Problem. The recognition of the question, and attempts to resolve it, date to antiquity. For example, Augustine of Hippo tried to explain the relationships between the synoptic gospels by proposing, as mentioned earlier, that perhaps Matthew was written first. This would explain the similarities then in Mark using Matthew as a source. Finally, following Augustine of Hippo's suggestion that Luke was written using Matthew and Mark as sources we get a theoretical chronology for the order of the Gospel texts. Although, it's worth noting that this specific solution has fallen out of favor among modern scholars. When Augustine wrote the Dead Sea Scrolls and Nag Hammadi library were not yet recovered and the evidence for the Lost Gospel of Q (e.g. the Q document) was not yet readily available. The above mentioned archeological discoveries have forced modern scholars to reject Augustine of Hippo's theory knowing that the Gospel of Mark, not Matthew, was the earliest written canonical Gospel. However, the exclusive relationship between the three texts, especially the near duplication of wording and structure in some parts of Matthew and Luke, still needed to be explained. There are differing opinions as to how late Mark could have been written. Most scholars agree with the Two-source hypothesis that proposes that Mark was one of the sources for the other Synoptic Gospels, Matthew and Luke; according to this viewpoint the latest possible date for Mark depends on the dating of Matthew and Luke. A wide range of recent critical scholars believe that Mark was written at the earliest after the fall of Jerusalem and the destruction of the Second Temple in 70. Two papyrologists, Fr. 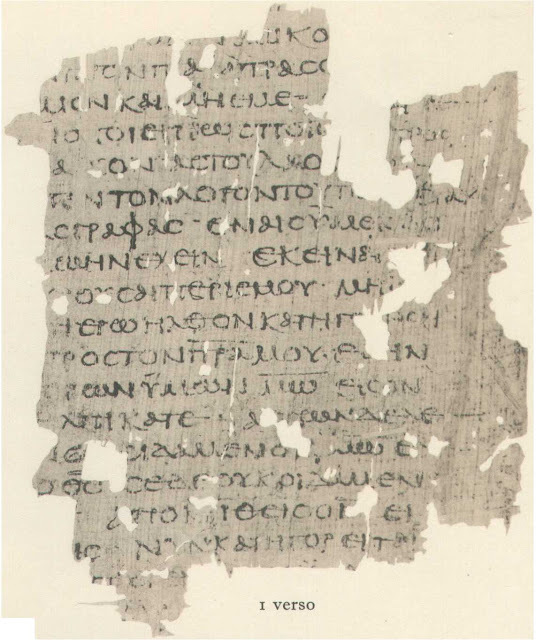 Josep O'Callaghan and Carsten Peter Thiede, have proposed that lettering on a postage-stamp-sized papyrus fragment found in a cave at Qumran, 7Q5, represents a fragment of Mark (Mark 6:52–53); thus they assert that the present gospel was written and distributed prior to 68. 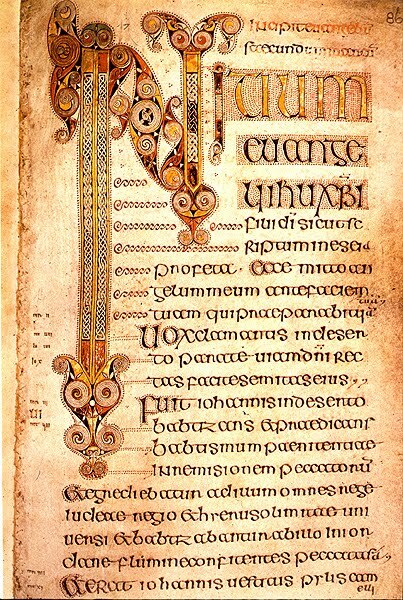 Computer analysis has shown that, assuming their disputed reading of the letters to be correct, and allowing for the replacement of one letter and the omission of a three word phrase "to the land", only Mark matches these twenty letters and five lines among all known Greek manuscripts. The majority of papyrologists question this identification of the fragmentary text, for several reasons. Some assume that all early papyrus Gospel manuscripts were copied as codices., and that a copy in a scroll format would not have been made for the Qumran librarians. While no other known Greek work matches 7Q5's wording, neither does Mark unless the phrase "to land", found in all other extant manuscripts of Mark, is omitted from 6:52–53. John A. T. Robinson in 'Redating the New Testament' proposes an even earlier date. He accepts Marcan Priority and dates Luke/Acts no later than 62. Therefore, if Mark was written before Luke/Acts, Robinson dates Mark to the mid-fifties. Whereas the dating of Mark near AD 70 is based on apparent references to the destruction of the Temple in Jerusalem, combined with the assumption that the first readers would not have understood these references if the gospel had been written prior to the events described. The relationships between the three synoptic gospels go beyond mere similarity in viewpoint. The gospels often recount the same stories, usually in the same order, sometimes using the same words. Subsequently, following Mark are the Gospel books of Matthew and Luke. The date of Matthew is still a matter of debate among Biblical scholars. Many believe it was composed between the years 70 and 100. The writings of Ignatius show "a strong case ... for [his] knowledge of four Pauline epistles and the Gospel of Matthew", which gives a terminus ad quem of c. 110. The author of the Didache (c 100) probably knew it as well. Some scholars see the prophecies of the destruction of Jerusalem (e.g. in Matthew 22:7) as suggesting a date of authorship after the siege and destruction of Jerusalem in 70 AD: However, John A. T. Robinson argues that the lack of a passage indicating the fulfilment of the prophecy suggest a date before that. Matthew does not mention the death of James in 62 AD. It also lacks any narrative on the persecutions of the early Christians by Nero. There are also a large number of fragments of lost works, sometimes referring to sayings or deeds of Jesus that are not in the New Testament, but of roughly the same age. In fact one of the fragments—actually four small scraps of papyrus—in the British Museum and known by the riveting title of ‘Egerton Papyrus 2’ is possibly the oldest surviving document about Jesus in existence. Another point worth bringing up is that the majority of the Gnostic Gospels show a much more human portrayal of Jesus Christ. In fact, the Gnostic texts such as the Gospel of Mary (attributed to Mary Magdalene) we find no evidence of any miraculous resurrection, which coincides with the original Gospel Mark and its strange absence of a post resurrection Christ. This may suggest that the resurrection story was added later into the canonical scriptures as some scholars suggest. So regardless of when the Gospels were written, this is important for anyone who is willing to take the Gospel stories for all they're worth, since it appears that much of their composition relies on redaction, or retelling of OT stories re-written for evangelical purposes past the expiration date of Jesus. It basically shows that there is more going on between the lines than most Christians realize. And this is where I must leave off. Because either you will be contented with what evidence you are given, or you will not, but in the end I hope you follow Kant’s dictum to dare to know. It’s what I have tried to do and will continue to aspire to. As one who is deeply interested, or more precisely: enthralled, by this period of human history I can’t help but find I love to learn about all the theories, the good ones and the bad. Whatever evidence and theories stand up to scrutiny, and are quantifiable, are the ones which are the most stable, and therefore likely justifiable. Consequently, these become the ones I’ll likely settle upon as the best chance of being accurate if not akin to the truth (although as a non-believer and skeptic there is always the possibility to change my mind when better evidence is forthcoming). I hope this helped answer any questions about when the Gospel books were supposedly written. I wish you good luck and happy researching! You should watch Part III (and the last section of Part II) if you don't want to watch the whole thing. The special has four parts-- each an hour long. The information they introduced amazed me! The gospels are *not* four different accounts the same events. Each gospel has a different purpose for a different audience. We are *not* seeing four different sides of Jesus. We are seeing four different "Jesuses" pitched to four different groups of people for four different literary and political reasons. And each group lives in a slightly different time period with different expectations and different disappointments concerning their faith. That's why the gospels have the kind of differences and similarities we see. You should check it out. If you do, let me know what you think. I just watched this last night, relative to this comment. There is no way the gospels can be inspired by god. No way. Not when you see why each one was really written. Oh, and if you watch it online, Start with Part One-- section 11. Then go through the next few sections. Part III is if you're watching the DVD. Thanks Uruk! I've seen parts of it when it was airing. But I've not watched the full thing. I'll probably watch it this week in full. As a former fundamentalist, I would use what I thought was logic to explain the nuanced differences in the gospels. But, I would ignore any logical implications of the many problems that I tried to explain away. Fundamentalists use a form of logic, denying the implications thereof. Yes, each gospel was written for a different theological group; thus resulting in a different kind of Jesus who caters to each respective group and soothes their respective insecurities, hurts, disappointments and worries. Each gospel serves to redefine the expectations of the followers, so that the faith can continue to evolve and not fizzle out. This evolution is necessary because the religious movement was totally unfounded from the beginning. Three psychologists back in the 1970's infiltrated an UFO cult. The cult prophesied that aliens would come and destroy the earth, but "rapture" away the believers. When the day and hour came and went, the psychologists had a first hand look at how the cult members coped. Some stormed out angrily. Others cried and wondered what went wrong. Not all left, however. And only a few hours after the prophesy failed, the leaders (subconsciously, or consciously) reinvented the whole meaning of the failed prophesy. The leaders re-rationalized everything, causing the cult to survive a few more months before fizzling out. The cult also made new attempts to proselytize when before, they were a rather closed group. (sound familiar?) Christianity could probably hang on because it was birthed out of the larger movement of Judaism and everyone's thinking was far more mystical in those days. Odd that the UFO cult had to reinvent themselves due to a failed prophesy, while the psychologists largely predicted the behaviors of the cult members before ever infiltrating their group! They predicted that a group would reinvent the interpretation of their prophesy and they predicted the group would change from being closed and start to proselytize. This would be necessary to sooth their issue of cognitive dissonance. And that's really what their research was about. And in the end, that's really all the gospels were about. 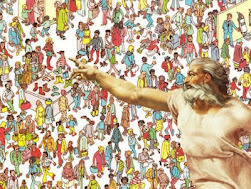 It baffles me that God would choose a time in history when people were more gullible, naive, ignorant, and easy to reveal himself to the world. Some would say that this was needed so that it would spread to later generations. But that is just a bunch of bloaded piffle. If God is all-powerful surely he could find a way to overcome our scientific minds. I have always said that rationalization is Christianity's greatest tool and they use it prodigiously. Psalm 14: Poetry or Propaganda? My Atheist Goat Got Trumped! My Nonbelieving Goat Gets Irate! 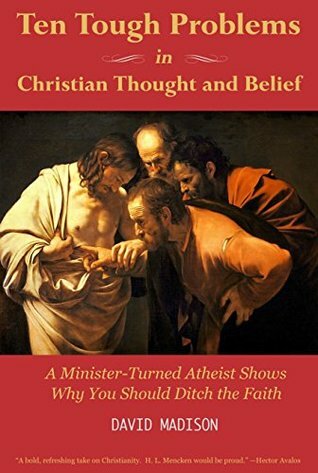 Are Atheists too Stubborn to Listen to Reason? Is There Life After Death? Who Cares?! 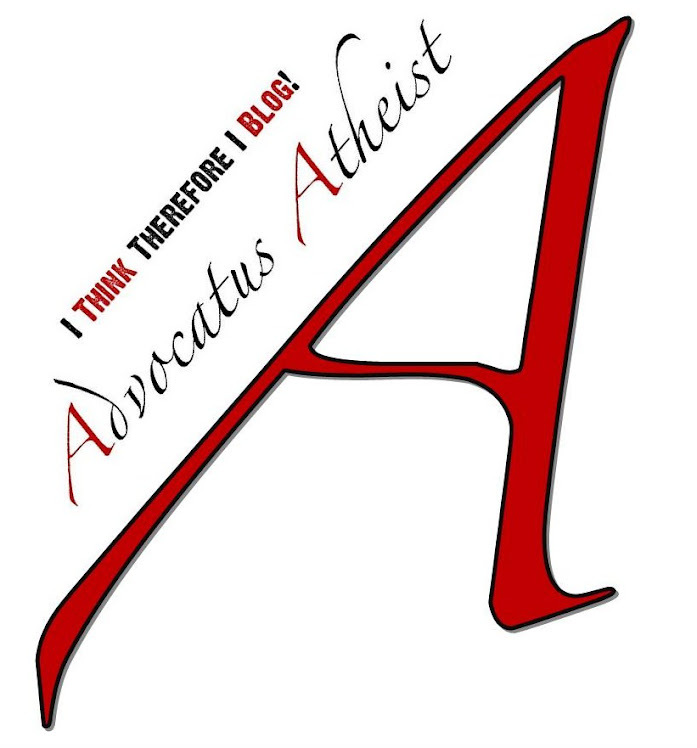 Five Spiritual Movies Every Atheist Should See! Who or What is a Satan?